When Life Gives You Lemons: Facing Personal Challenges With Resilience, Wednesday, 5-15-19 (Live Webinar) « CE You! Gain tools and strategies for helping clients connect with their passion and purpose! Join Susan Weiss, MA examining how personal values inform deeper mission and meaning, as well as cultivating tools to promote life balance and achieving success and enabling clients to transcend life setbacks. 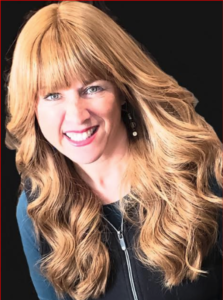 Susan Weiss, MA is a Senior HR Professional and Certified Executive Coach, with 17+ years of advancing integrated partnership with business leaders and delivering targeted Human Capital Development initiatives to help boost organizational performance. Specializing in Design and implementation of programs to develop senior leadership and support strong global talent, Susan promotes dynamic interpersonal, communication and facilitation skills, to help organizations and leadership achieve maximum effectiveness. Currently a Senior Global Talent Management Specialist at NASDAQ, Susan has served as an adjunct instructor of Psychology and Abnormal Psychology at Touro College, as well as Strategic Management at Parsons School of Design. Certified in Human Resource Management, Susan holds a baccalaureate degree in Psychology and a Master of Industrial Organization Psychology from City University of New York; Brooklyn College.